For a few months a ran a Monday Meal Plan series. 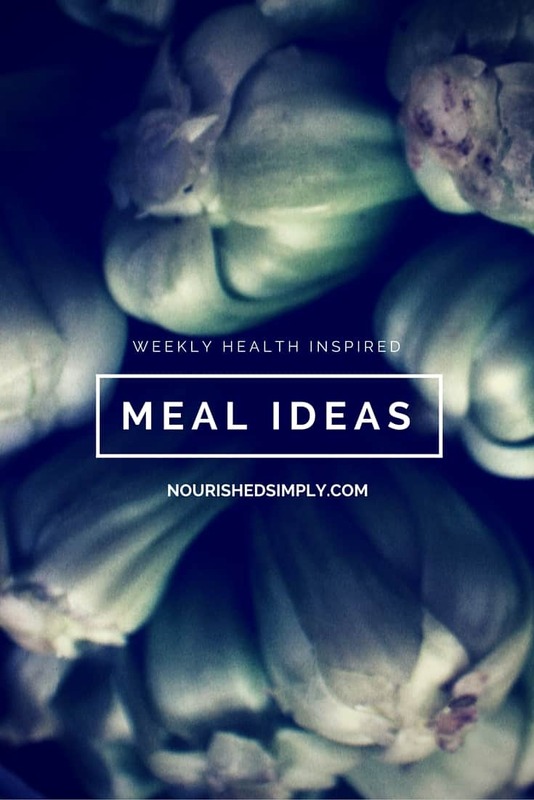 I am switching up a bit and changing the series to Weekly Health Inspired Meal Ideas. I do plan meals, but often schedules change and plans have to change. I also do not have the time to cook multiple new meals each week. Our family eats at home, but we rely on leftovers and quick meals especially during the week. The Monday Meal Plan series often contained what I had planned to eat or variations of what we did eat. I feel that the posts were not completely honest if our plans changed. 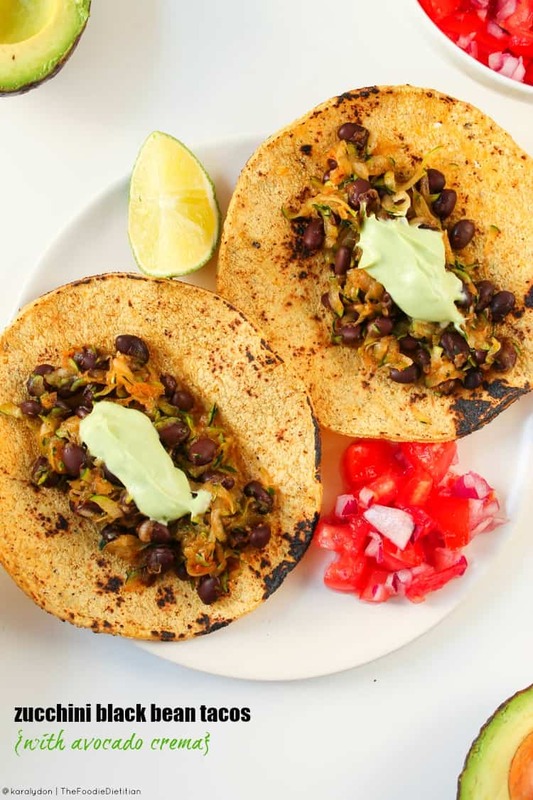 This new series will highlight healthy recipes found throughout the web. Each week I will have a different theme, such as low carb, gluten free, grilling, pastas, etc. If you have certain recipes that you would like me to highlight please comment below or send me a message through the contact page. Today is the first day of school for my kiddos. They are not happy about summer being over, but I am happy to get back to our routine. Our routine though includes of course homework after school and night time activities like dance for my daughter and lacrosse or basketball practice for my son. Most parents I know have the same type of schedules. After school activities are important for kids to be involved in, but they do make eating dinner as a family sometimes difficult. We certainly have issues, because practice and dance tend to be right at dinner time (between 5-7pm). My hubby does not get home from work until 6:30pm, so he is not usually able to help with dinner or the kids “taxi” service. Dinner for us on those nights can be rushed. If I worked at the hospital during the day there is even less time for me to make dinner! Many parents fall into the same issue. I know many families you will just go out to eat or bring food in. I have even seen families eating pizza or other fast food at the baseball field. Are these types of meals the best choices? Of course not, but sometimes (even for us) they are the easiest choices. For this weeks post I asked some of my fellow dietitians to share there favorite quick family friendly recipe with us. 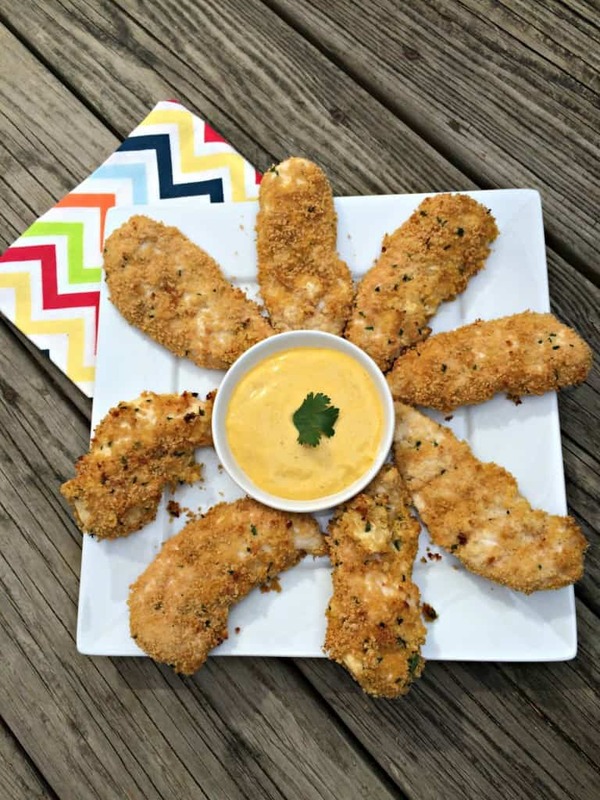 My kids love chicken tenders/nuggets. Meals that you can make ahead of time are always a great idea! 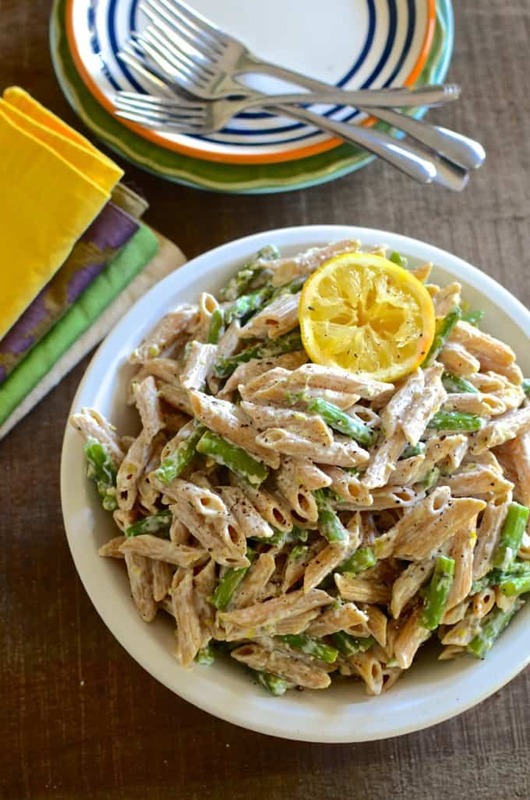 A quick meals that can be made in less than 30 minutes are great too! We can’t forget about taco night! My kids love tacos. Portable meals are always a great idea when you may be too rushed to actually eat after you cooked. Sometimes we just want Chinese take-out. 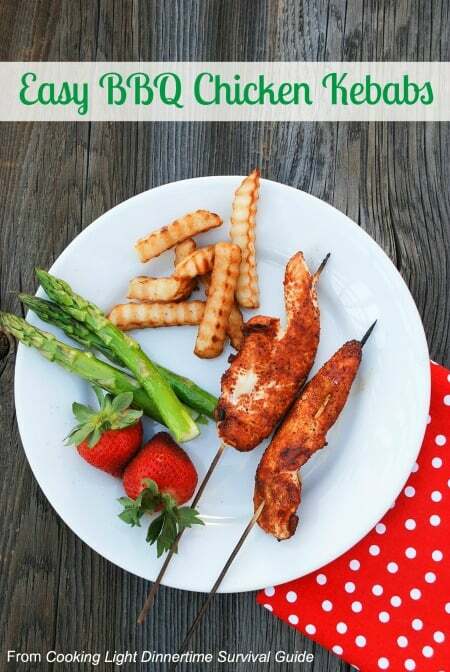 Here some other quick meals ideas to look through as well! How do you manage meal time with homework and kids activities? Great roundup of ideas! Thanks so much for including me. So many delicious recipes, thanks for including mine! love this new idea instead of a straight up menu plan. There are def weeks I don’t follow through 100% on what’s initially planned so it’s great to have more quick ideas! Thanks for including my quinoa bites! Thank you for sharing your recipe Jessica! Oh my goodness! So many great recipe to try! Loving this roundup! 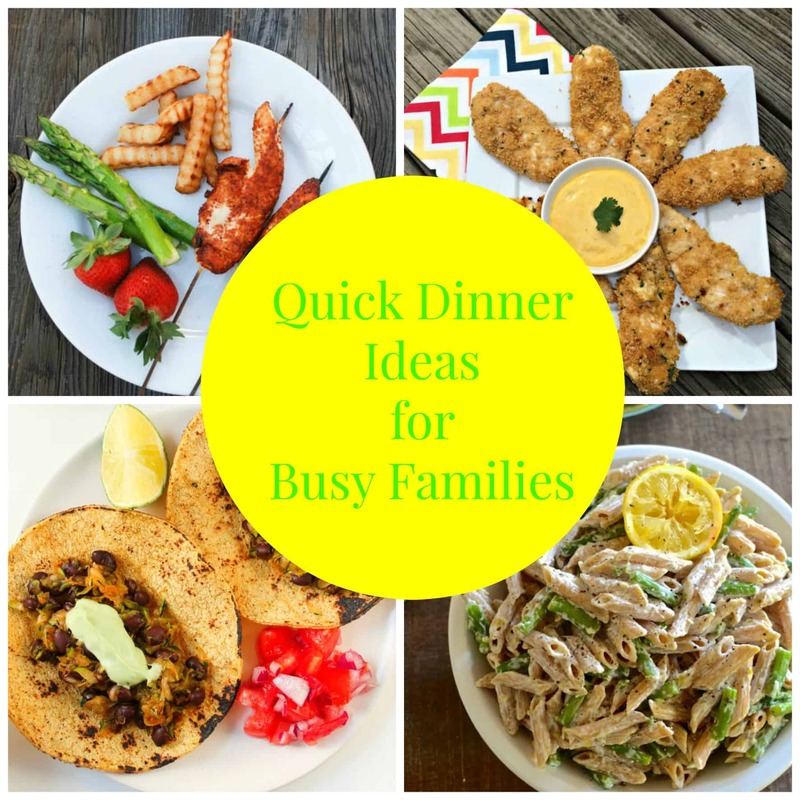 Lots of great ideas – the faster I can get dinner on the table, the better! What an awesome round-up and so needed for me this year with my oldest starting kindergarten. Thanks for including me! I can’t wait for Blog Brulee! My husband does not usually get home until 6:30 and get home around 5pm. After a long day sometimes you just don’t feel like making a big meal. Quick meals are a must for us.